The development of Smart Cities around the world comes with several daunting challenges, one of which is the efficient maintenance of the city’s underlying systems of interconnected networks. However, enterprise networks can offer a useful parallel. A key feature of smart cities is that they consist of multiple, interconnected networks of remote sensors and endpoints – both fixed and mobile – that continually record and exchange data, which is then stored and analysed to identify underlying patterns and trends. The challenge is that the sheer volume of this data, plus the complexity of the many interconnected networks involved, makes the maintenance of these systems a challenge for any administrator. 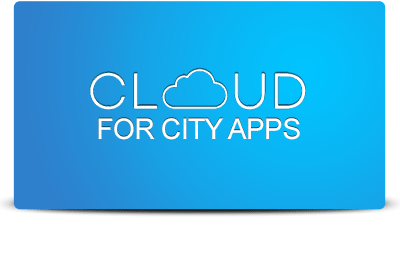 A solution is to see the city see it as simply a (much) larger and broader version of existing enterprise networks that connect offices in different locations, collect and analyse large volumes of data from different sources, and work closely with third-party partners and providers. In effect, managing the smart city requires the same skills as managing and maintaining a conventional enterprise network. Like an enterprise network, the smart city depends on ultra-secure, ultra-reliable, low-latency connectivity to link it to important storage, computing and analytics resources, as well as third-party applications and partners that are increasingly hosted in the cloud. In today’s GDPR era with the ensuing concerns about data privacy, in the same way that an enterprise respects the privacy of customers’ personal data, a smart city administrator must have a robust and transparent policy in place regarding any individual citizens’ data that it collects to use for features and services, and clarify how the data will be used and how long it will be stored. In short, the clear parallels between enterprise networks and smart cities mean that smart city administrators can apply the same knowledge, expertise and tools used to manage enterprise networks. By prioritising real-time monitoring of network performance, secure connectivity, and data privacy and security, they can keep their smart city connected, secure and delivering benefits and new opportunities to its citizens on an ongoing basis. This is an abridged version of the original article, by Sascha Giese, which can be found on SmartCitiesWorld.